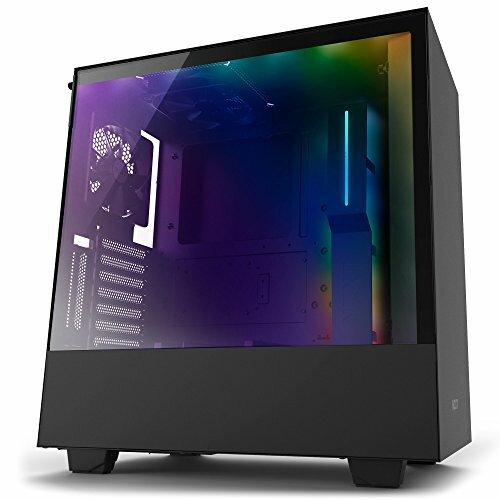 The H500 Series showcases NZXT vision for modern PC building with simplified water cooling installation, intuitive cable routing features, quick release SSD trays and a stunning tempered glass panel to showcase your build. 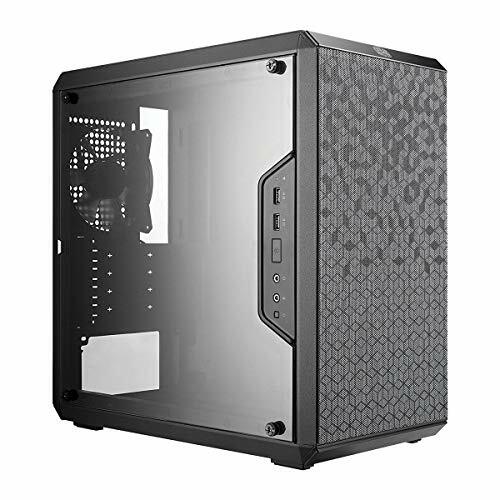 The MasterBox Q300L is your straightforward option in the lineup of the brand new MasterBox Q-series from Cooler Master. A series that might be small in size but excels in functionality and modularity without compromising on the thermal performance. Although the size wouldn't tell, the MasterBox Q300L supports a standard ATX PSU which we don't see often in the market with this size. Based on the different system setup, the I/O panel can be adjusted to six different locations, three options at each side of the case. You can decide which setup fits your system best. Due to the cube design of the frame and special pattern design on the magnetic dust filter will make the chassis stand out from the rest. The combination of a practical design and the unique customizable outlook makes the MasterBox Q300L the perfect choice for office and home. 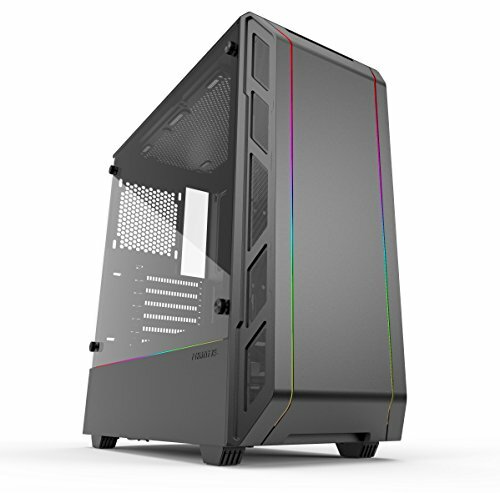 The H500i is a premium mid-tower case that includes a unique CAM-Powered Smart Device that digitally drives RGB lighting and fan performance. 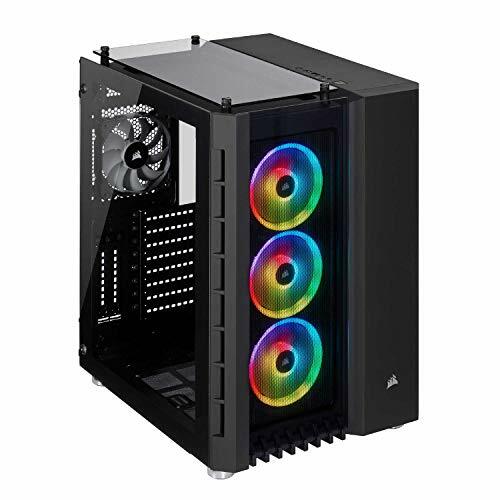 It empowers builders to easily control RGB lighting and fans while Adaptive Noise Reduction optimizes your build's acoustics by learning and tuning your PC for the ideal fan settings. The H500i streamlines radiator installation and introduces a cable management system behind the motherboard tray. Four fans and two RGB LED strips are included to make builds glorious behind the H500i tempered glass panel. 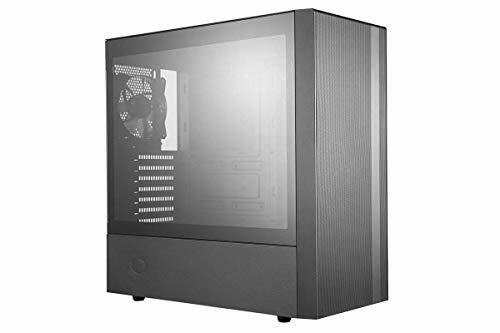 Accommodates ATX, Micro-ATX or Mini-ITX motherboards. 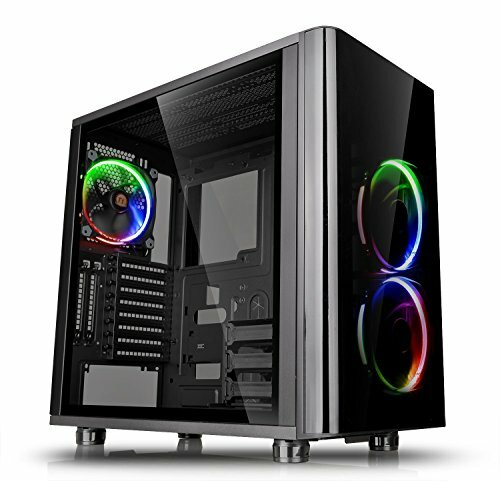 The view 31 tg RGB tempered glass mid-tower chassis features dual durable 4mm thick tempered glass window, riser GPU support bracket with optional PCI-E riser cable, and three preinstalled patented 140mm Ring RGB LED fans, which give users the option of 256 color selections while ensuring outstanding cooling performance. 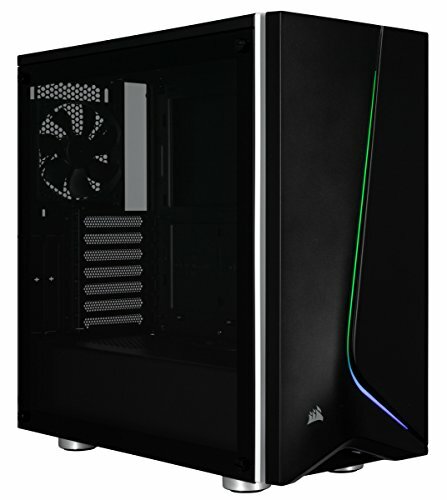 The view 31 tg RGB supports the latest PC hardware and all high-end GPU solutions, guarantees on unparalleled expandability for high-end configurations and liquid cooling system to satisfy the market where users have opted for stylish PC chassis with advanced features and aesthetic appeal. 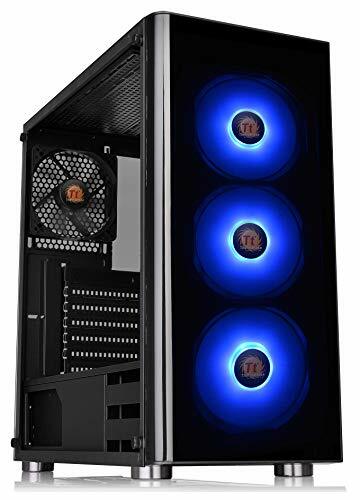 Dimensions & Weight Max GPU Length Allowance: 380 mm Max CPU Cooler Height Allowance: 154 mm Dimensions (H x W x D): 19.69" x 7.64" x 17.72" Weight: 9.92 lbs. NOTICE: Please make sure your motherboard is equipped with an on-board USB sockets before purchasing. 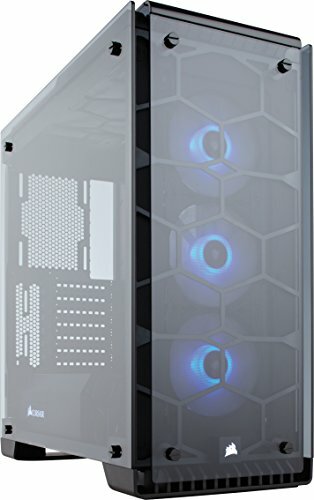 Fractal Focus G No Power Supply ATX Mid Tower w/Window (Black). Two vibration dampened universal drive bays with support for6TB+ HDDs and 15mm SSDs, plus an additional 2.5" mount behind the motherboard tray. 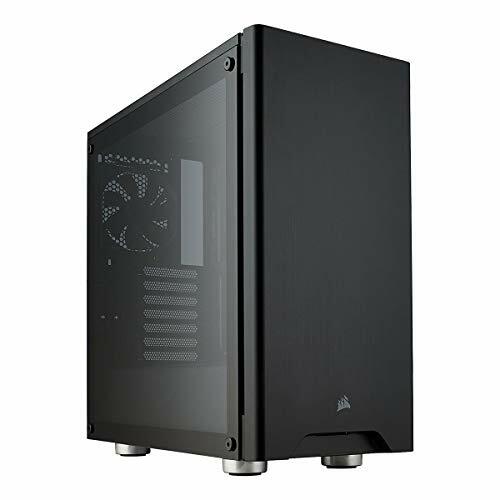 The Master Box Lite 3.1 TG mATX Case is your straightforward option for your PC build that doesn't ignore good looks, customization, or performance. A sleek Dark Mirror front panel and three custom trim colors (included in the box) offer a great first entry point for customization. The compact chassis with spacious interior features black coating that gives the case a luxury look. 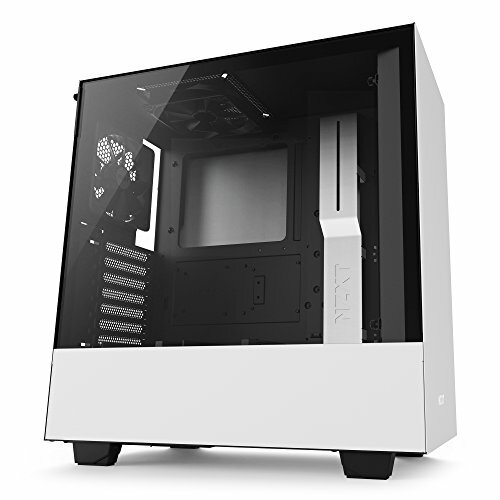 Additionally, it comes with an edge to edge 4mm thick tempered glass side panel to show your internal components. And with support for up to 3 cooling fans and a water-cooling system, we ensure your performance will not suffer. The new Focus series from Fractal Design is the cornerstone for your PC build, showcasing the hardware aesthetics at the heart of your system with elegant accents and sophisticated style. 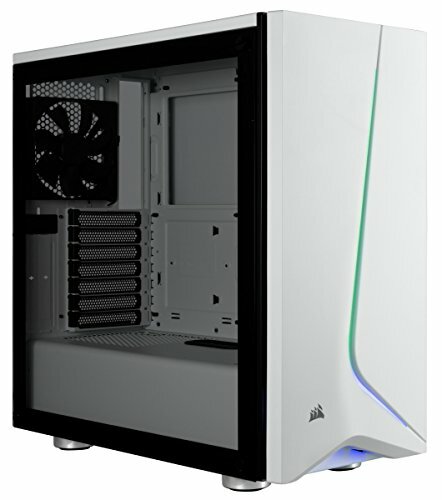 Contemporary ATX case design accommodates high-performance components with smart and efficient space utilization for a compact footprint. 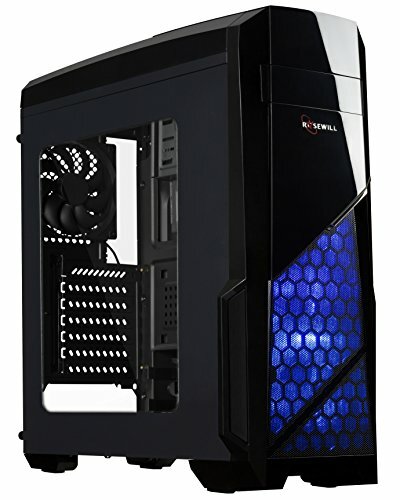 AeroCool Designed Cylon Black Full Acrylic Side Window RGB ready Mid Tower case. Elegant backslash LED with 13 lighting modes on front panel. 6 RGB flow lighting modes. 7 solid color modes. 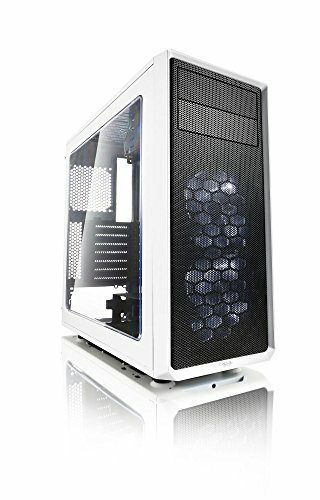 Full acrylic side panel to showcase your rig. Supports liquid cooling: 240mm radiator in the front panel. Supports air cooling: 120mm fan on top to enhance cooling performance Supports CPU cooler up to 155mm. Supports high-end graphics cards up to 371mm. Supports VGA fan bracket design: two 120mm fans for superior cooling performance of VGA. Supports up to two 3.5 HDDs and two 2.5 HDDs/SSDs. Supports PSU up to 180mm. Supports SD or micro SD memory card. Dual chamber design for improved ventilation. Removable PSU dust filter for easy cleaning. Steel Thickness: 0.5mm. Motherboards: ATX/micro ATX/mini-ITX. Case Dimensions (Internal): 188 x 430 x 375mm (W x H x D). Case Dimensions (Overall:198 x 459 x 413mm (W x H x D). 3.5 Drive Bay x 2 (Compatible with 2.5" HDD/SSD). 2.5 Drive Bay x 2. Expansion Slots:7. 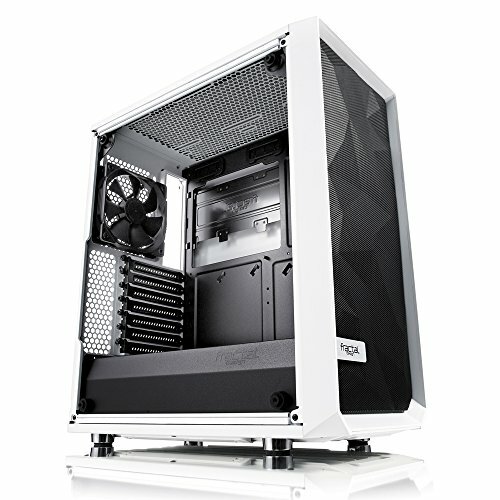 Supports GPU up to 346mm /371mm (without front fan). Supports CPU up to 155mm. I/O Ports: USB3.0 x 1 ; USB2.0 x 2 ; HD Audio & Mic. ; SD Card Reader. Air Cooling: Front: 120mm x 3 or 140mm x 2 (Optional); Top: 120mm x 1 (Optional); Rear: 120mm x 1 (Includes 120mm Fan). Supports VGA Fan: 120mm x 2 (Optional). Liquid Cooling: Front: 240mm Radiator (Optional). Net Weight/Gross Weight: 3.8kg (8.38 lbs. )/4.5kg (9.92 lbs.). Power Supply: ATX PSU (Up to 180mm, Optional); Customer Service: Supportataerocool.us. RMA Service: RMAataerocool.us or call 510-661-9948. 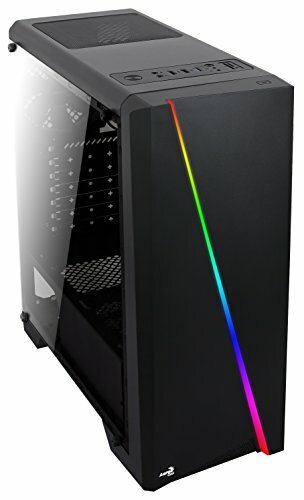 Full Acrylic Side Window RGB ready Mid Tower case. Elegant backslash LED with 13 lighting modes on front panel. 6 RGB flow lighting modes. 7 solid color modes. Supports liquid cooling: 240mm radiator in the front panel. Supports air cooling: 120mm fan on top to enhance cooling performance. Supports high-end graphics cards up to 371mm. Supports VGA fan bracket design: two 120mm fans for superior cooling performance of VGA. Supports SD or micro SD memory card. Dual chamber design for improved ventilation. Removable PSU dust filter for easy cleaning. Steel Thickness: 0.5mm. Motherboards: ATX/micro ATX/mini-ITX. Liquid Cooling: Front: 240mm Radiator (Optional). I/O Ports: USB3.0 x 1; USB2.0 x 2 ; HD Audio & Mic. Air Cooling: Front: 120mm x 3 or 140mm x 2 (Optional); Top: 120mm x 1 (Optional); Rear: 120mm x 1 (Includes 120mm Fan). Model PC-O11 Dynamic Designed by Razer. 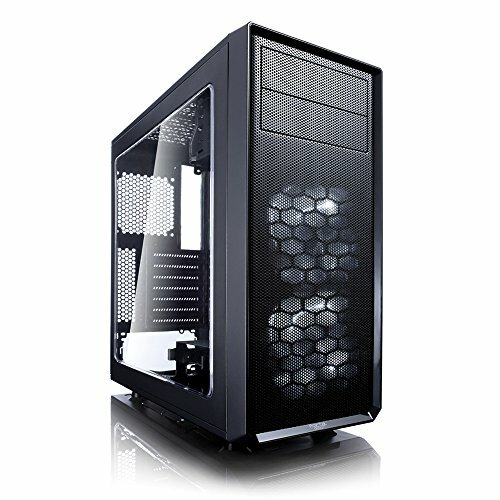 Case Type Tower Chassis. Structure Dual chamber. Dimensions (W)274mm x(H)449mm x(D)446mm. Color Black. Material (Front/Side)Tempered Glass+Aluminum (Body)0.8mm SECC. I/O Ports USB3.0 x2 , HD Audio USB3.1 Type-C x1 , HD Audio M/B Type E-ATX / ATX / Micro-ATX. 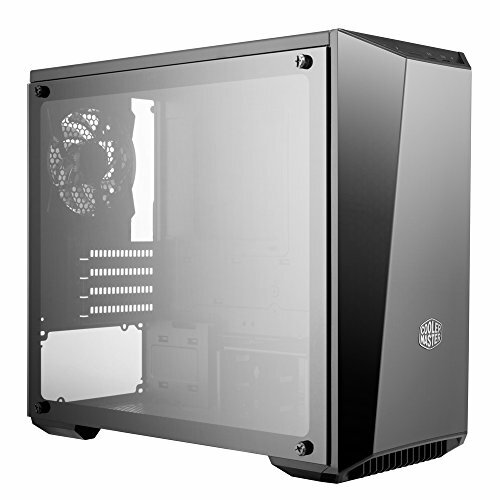 Beautiful tempered glass Side panel shows off your system in style. Integrated RGB front lighting adds dramatic illumination to your system, powered by a built-in three-switch controller. Versatile cooling options with room for up to six 120mm fans and multiple radiator configurations. 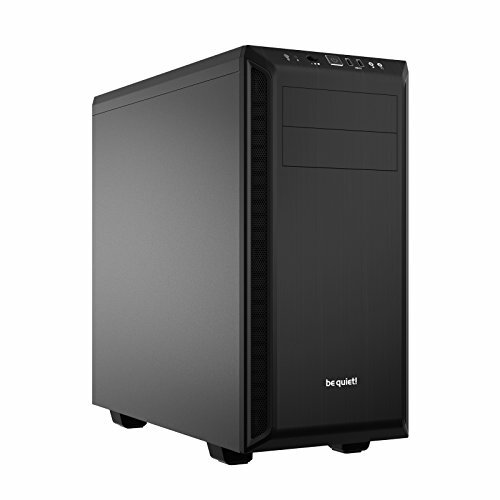 Ample room for additional drives with room for up to four 2.5in SSDs and two 3.5in HDDs. Builders-friendly with simple and intuitive internal layout. The Master Box NR600 applies optimal cooling and expandability to a minimalist, subtle design. With thermal capability at the forefront of features, the front panel and top panel are designed to signify airflow performance in its purest form. 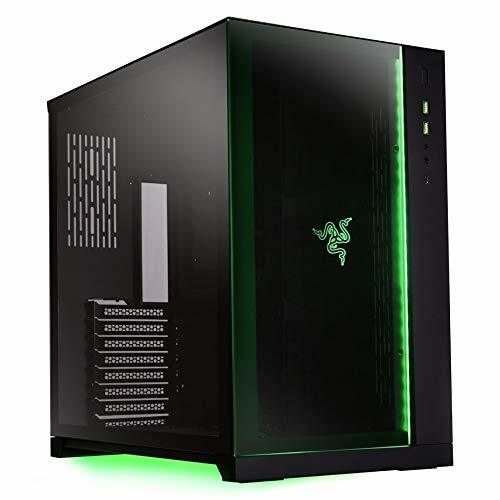 Flush Tempered glass Side panel design - The tempered glass Side panel, fastened by thumbscrews on the rear panel, keeps the surface flush and unobstructed. Graphics Card support up to 410mm - Generous clearance space is provided to support the latest graphics cards. With/without ODD support - depending on preference, an odd version of the chassis is available. If an odd is not preferred, a cleaner appearance and more cooling options on the top and front panels are supported. Headset jack - the single 4 pole headset jack features both Audio and microphone capabilities simultaneously so that separate jacks are not needed. Cable management - high quality, longer length rubber grommets and generous clearance behind the motherboard offers ample room for cable management. 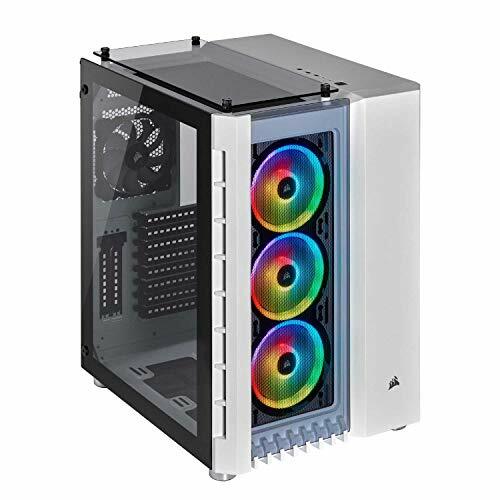 Equip your PC with outstanding high airflow cooling, with four fans and a Direct Airflow Path layout delivering massive airflow to your PC's hottest components. Illuminate your system with three included LL120 RGB fans, boasting a total of 48 customizable RGB LEDs. 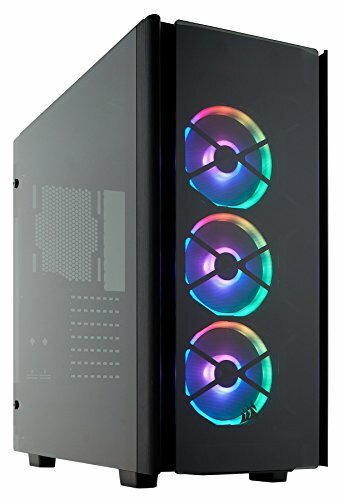 An included CORSAIR Lighting Node PRO turns the 680X RGB into a smart case, powered by CORSAIR iCUE software that brings your system to life with dynamic RGB lighting synchronized across all your iCUE compatible products, including fans, RGB LED light strips, DDR4 memory, keyboards, mice and more. Custom builds needn't be cluttered - a distinctive dual-chamber design makes it incredibly easy to assemble an immaculate system that keeps cables tidy and out of view. 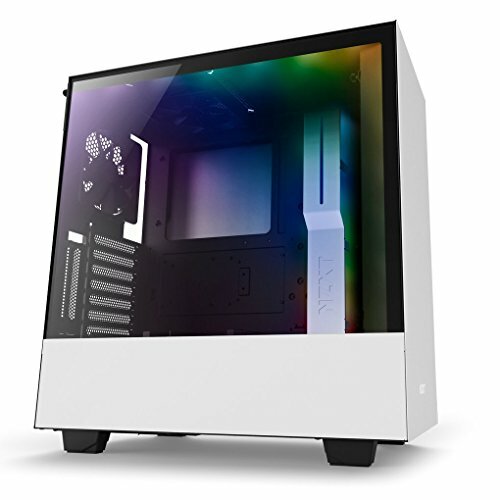 Three crystal-clear tempered glass panels, fitted in the front, roof and a hinged easy-access side panel door, provide a stunning view of your PC's high-profile components. Ph-vgpukt-02, a universal vertical GPU bracket from Phanteks. The kit includes the vertical GPU bracket and a 220mm flat-line PCI-E x16 riser cable. Showcase your graphic card by mounting it vertically with the ph-vgpukt-02. 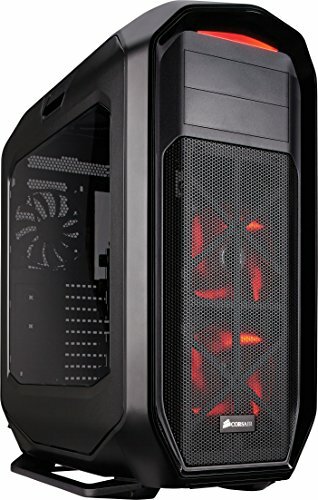 Compatible with chassis with "open" PCI slot design. Mudding might be required. Pure base 600 is truly multi-talented, offering a great deal of functionality and features For an attractive price. 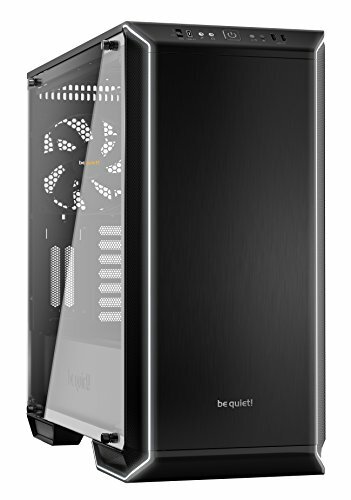 Smart usability features and whisper-quiet operation enable you to realize almost any system configuration you desire for your ATX or micro ATX PC. It is the perfect base for your system. Brand: be quiet! | Manufacturer: be quiet! 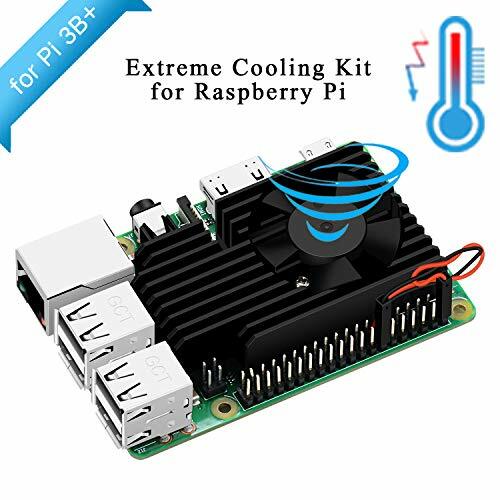 3510 Version Extreme Cooling Fan Kit For Raspberry Pi 3B+ is a brandnew Cooling system for your Raspberry Pi 3B+. It's a completely new radiator, and it's a very cool cooling system after the armor shell. The fan is 3510 version and more powerful but still quite when it is running. Two aluminum blocks will touch the MCU tightly and good for the heat dissipation. It's with good-looking appearance, and easy to assemble. NOTE:Raspberry Pi Board Not Included!